Today’s Philippines postcard comes from Dulag, Leyte, in the Philippines. These children are sat on the second floor of their home. Their house was nearly completely destroyed in 2013 by Typhoon Haiyan (known locally as Typhoon Yolanda). All We Can’s partner Medair helped rebuild the home and added stronger beams to protect the house from future typhoons. 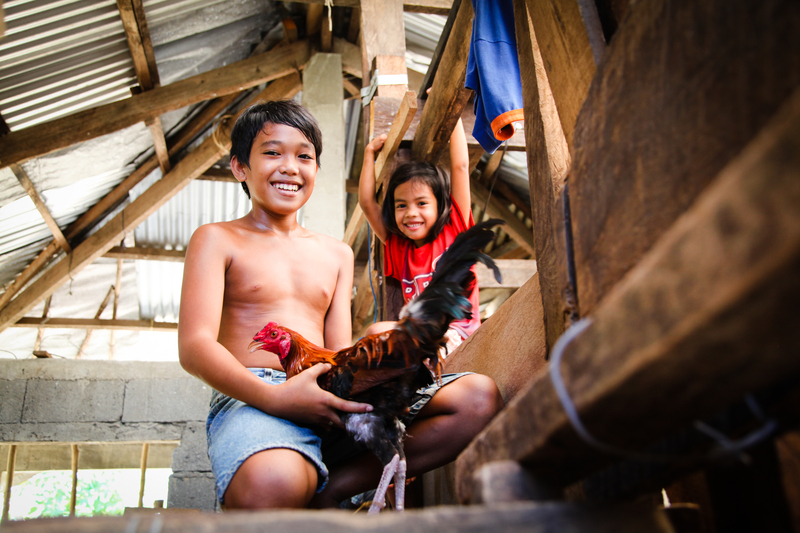 You can see the new reinforced structure of the house in this image where a boy proudly holds his pet rooster and watches me interviewing his parents on the floor below.